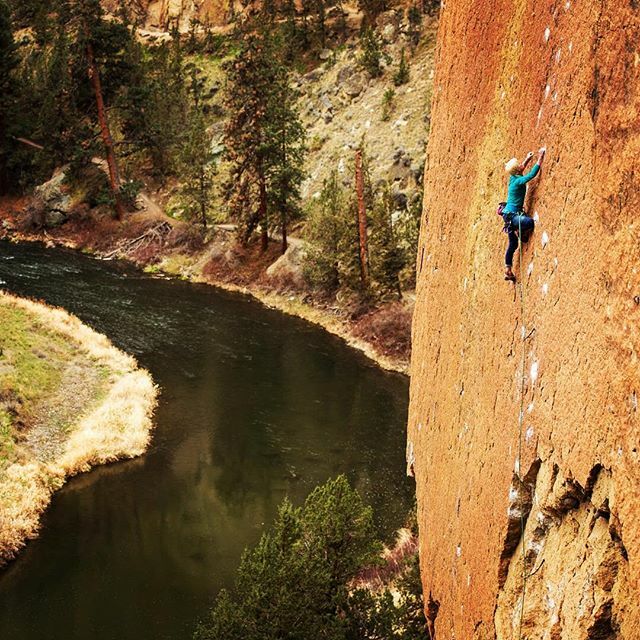 Proud to be featured in the new Women’s Adventure Film Tour coming your way soon. Join us and have an edge of the seat fun night of entertainment. Keep your eyes open for screenings starting September. Tickets through Eventbrite. 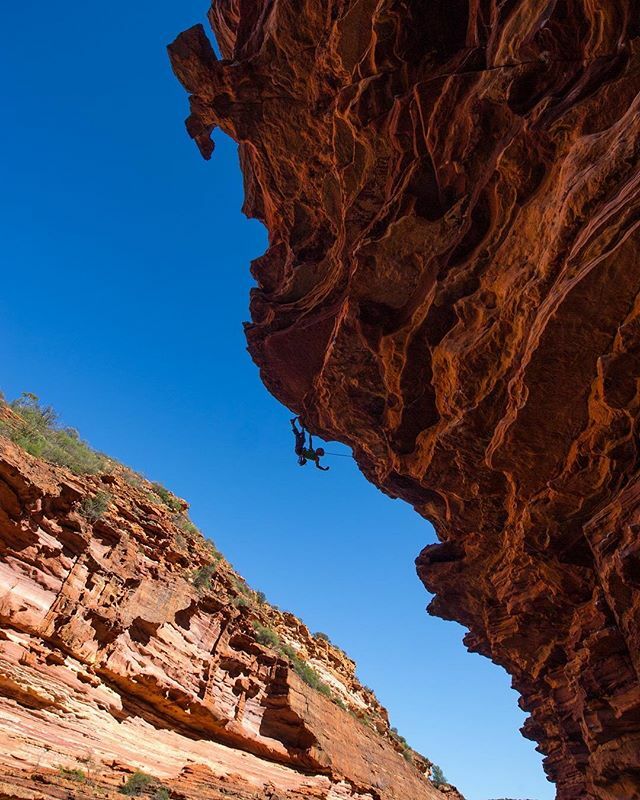 Photo by @simoncarter_onsight me on Heavy Petting (25), Kalbarri Gorge, Western Australia. #throwback #tbt back to 2005 when I met up with my dear friend @oliviahsu plus hubby @simoncarteronsight who had already been in town for a week getting the the suss on things in #yangshuo. 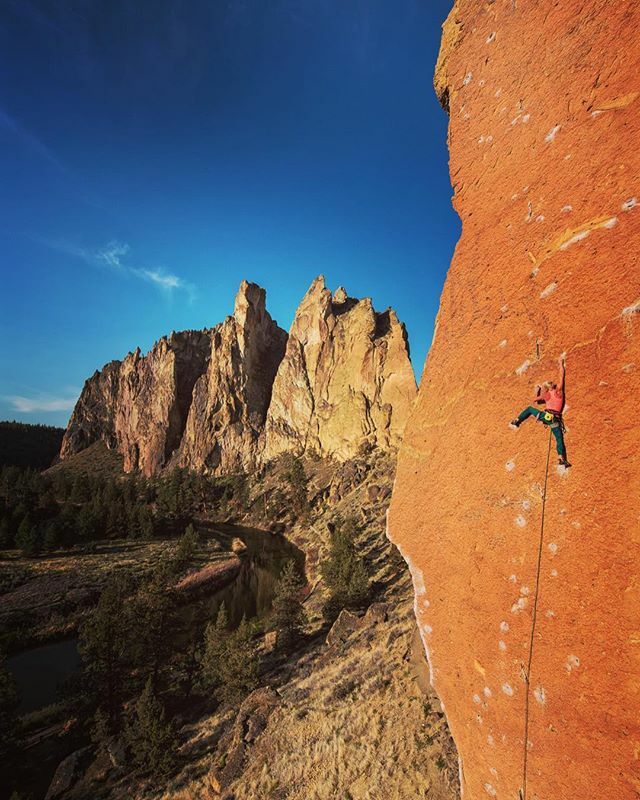 My first morning there and hubby hits me up with a special request, “can you blast up this grade 31 quickly this morning?”, because he’d worked out an angle on this beautiful piece of rock and it was the first – and possibly last – blue bird day of the trip. 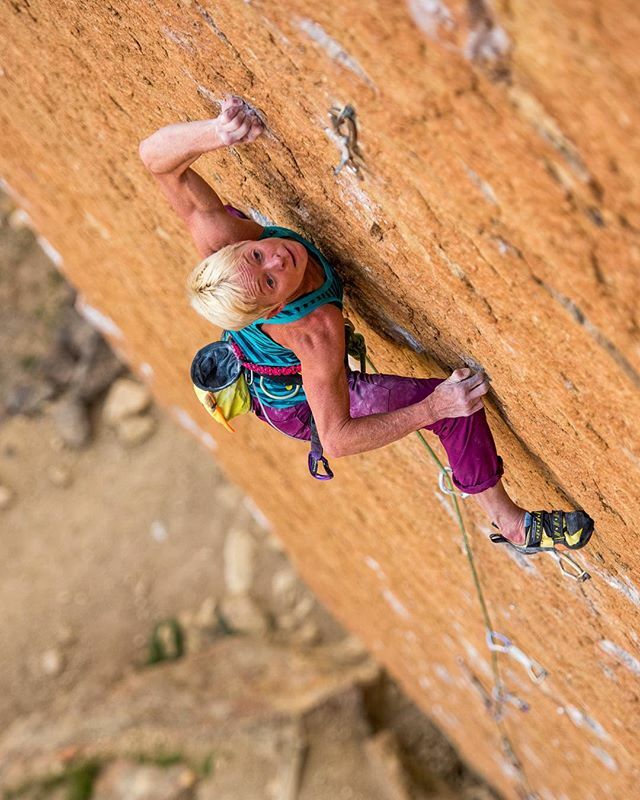 I thoroughly enjoyed attempting the route and needless to say that Simon nailed the shot once again. Even after all these years I’m still amazed at Simon’s ability to visit a new climbing area, eek out some special angles and come away with a swag of high end shots that truly capture the place. 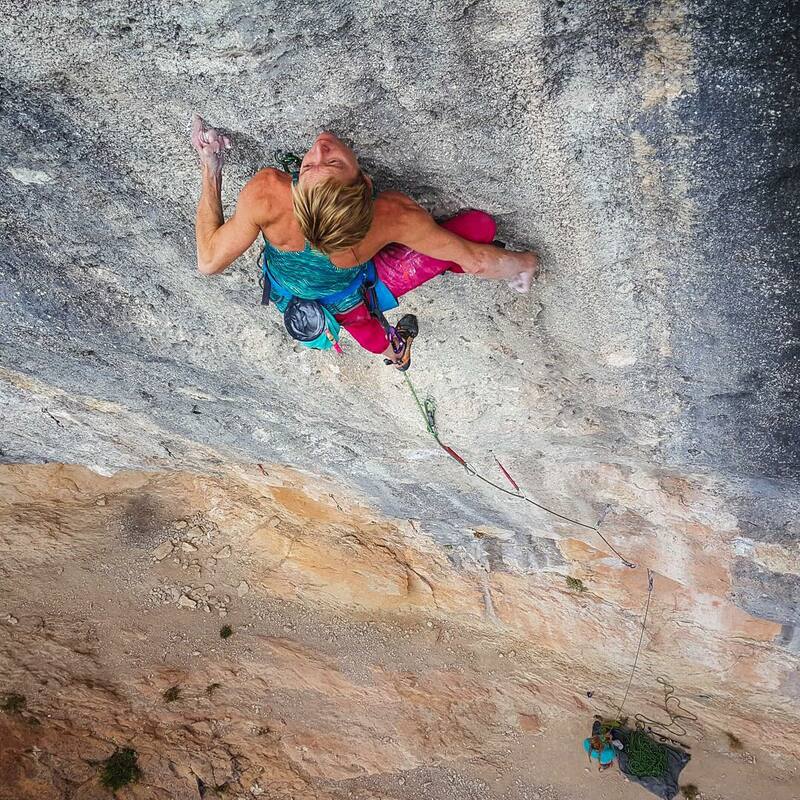 The climb is Nine Deep, One Shallow (5.13d) at Banyan Tree Crag. Perfection is what I strived for as a young gymnast. But, thankfully life, and the way you move through it, is not judged with a score out of ten. So, I soon dropped that ideal. I didn’t, however, drop my pursuit of pushing myself – physically and mentally – into realms that gymnastics could not offer. 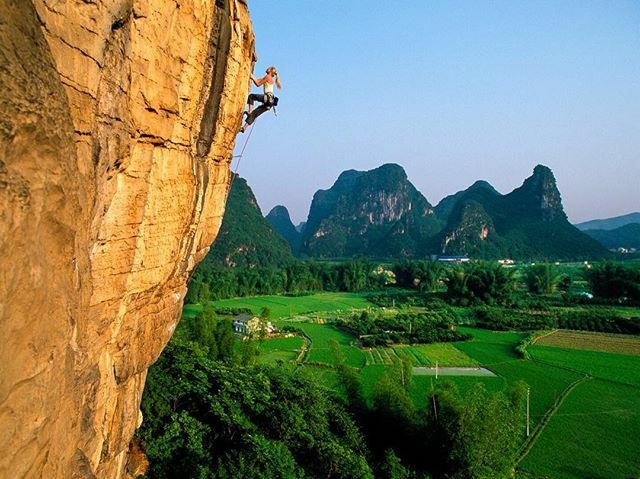 Gymnastics made me scared; climbing gives me courage. The moments when my body is performing at its maximal capacity, while my mind is entirely immersed in the task at hand, are moments of perfection to me. These moments of flow are what keep me exploring for the next ultimate line. 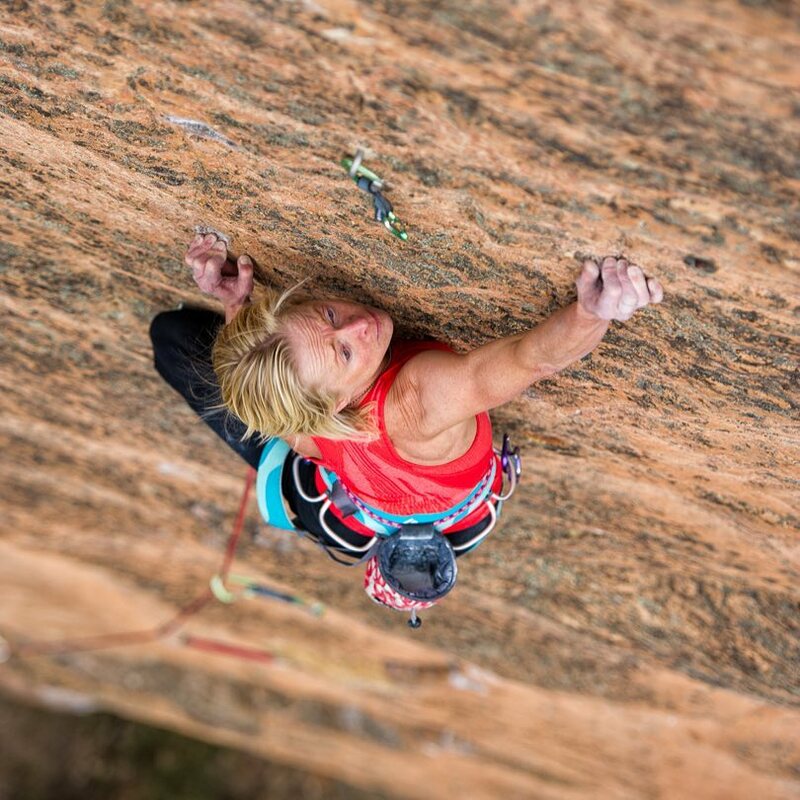 Words written by me for the book #rockclimbingdownunder. 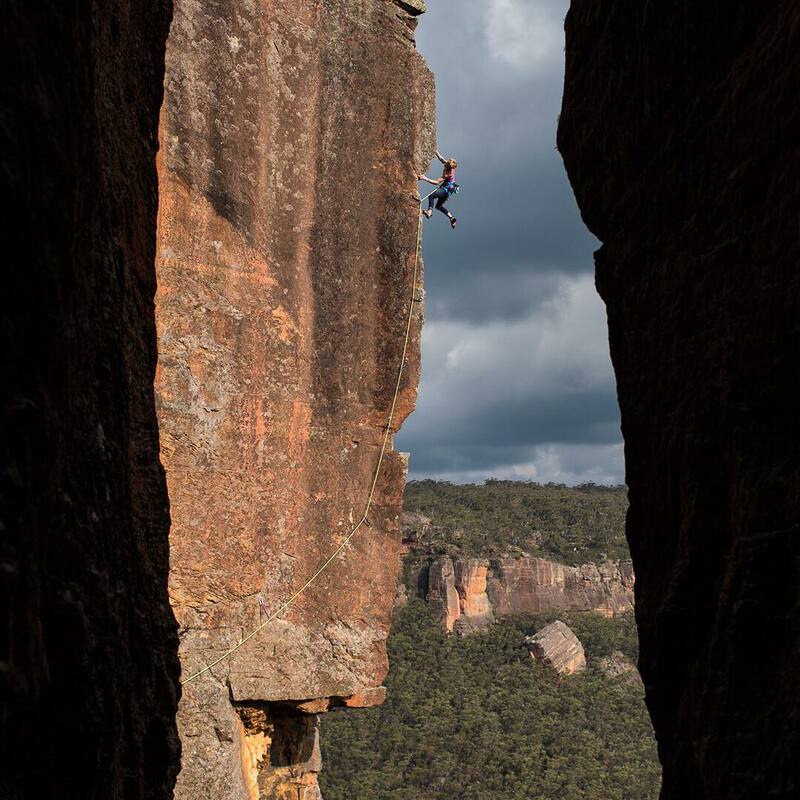 The photo is of me crimping on credit cards while climbing the stunning line of Microcosm (31) in the Wolgan Valley several years back when I experienced these moments of flow. How privileged we are to experience such freedom. #tbt. Excited to finally announce this! “No excuses now, this is what you’ve been waiting for! 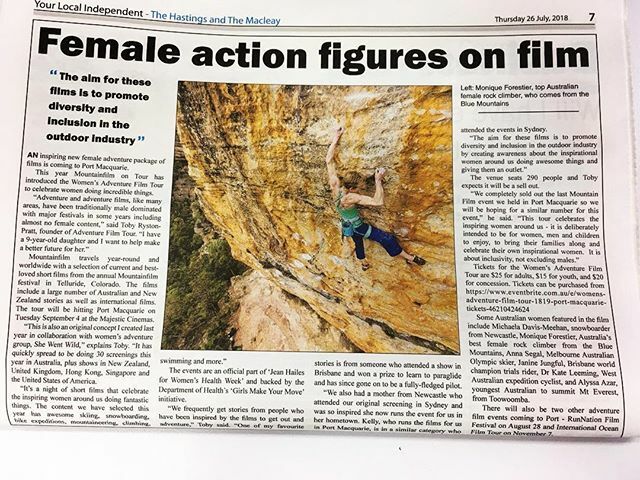 Monique Forestier (leading climber and Sport Climbing Australia NSW head coach) and Mark Trompp (ASCA accredited strength guru) have joined forces to host a series of strength and conditioning classes aimed specifically for rock climbers. The one hour group classes are designed to give your fitness a boost and help take your climbing next level. 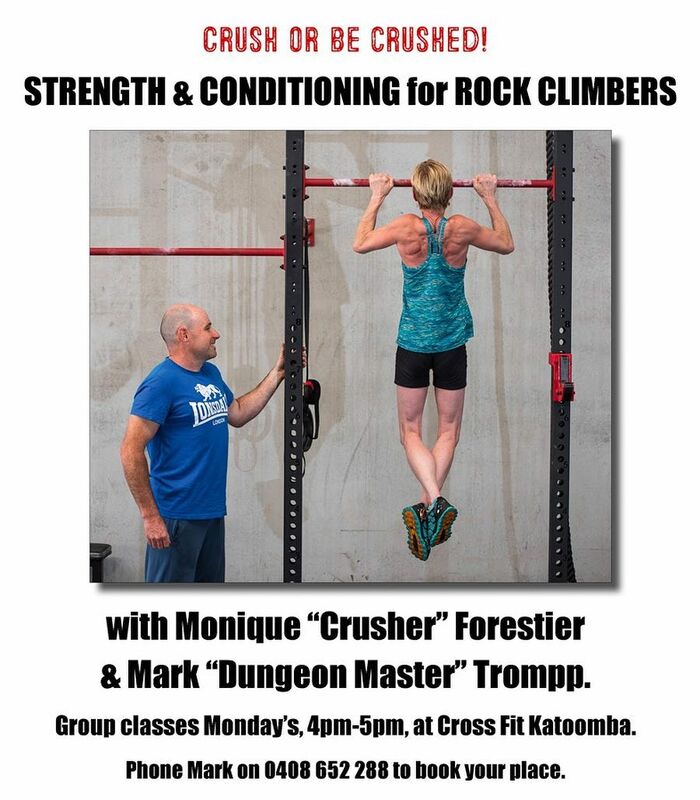 Held at Cross Fit Katoomba (3/59 Megalong Street) every Monday at 4pm, the classes will commence on 22nd January 2018. Only $20 each class. Places are limited, phone Mark on 0408 652 288 to book your place.” These sessions are open to climbers of all levels (you can only get stronger!). Hope you can join us. Huge thanks to Mark Trompp for the 3 months of strength training it really paid off. Also thanks to @roblebreton for your guidance in climbing training. Massive thanks to @abdgym for the looong belays. Photo by my dear friend @oferblutrich thank you!